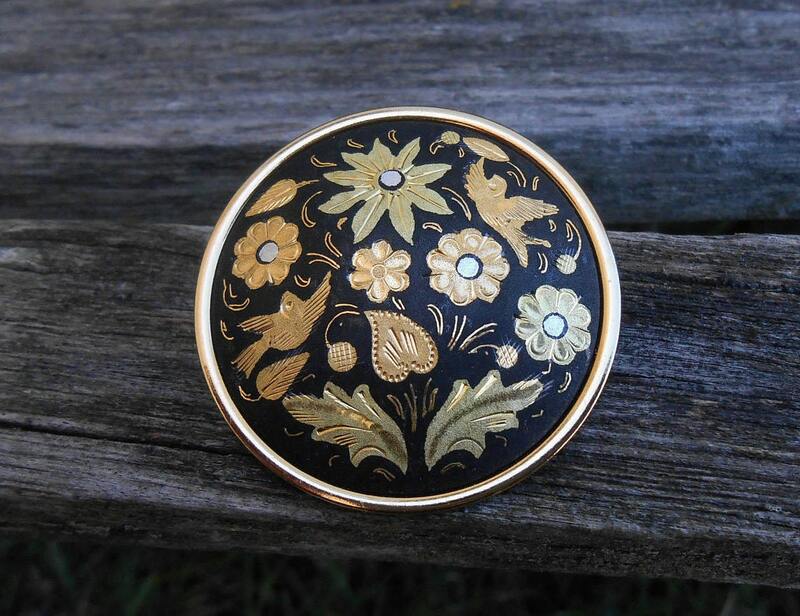 Vintage Damascene Pin, Made In Spain. 1960s Vintage. 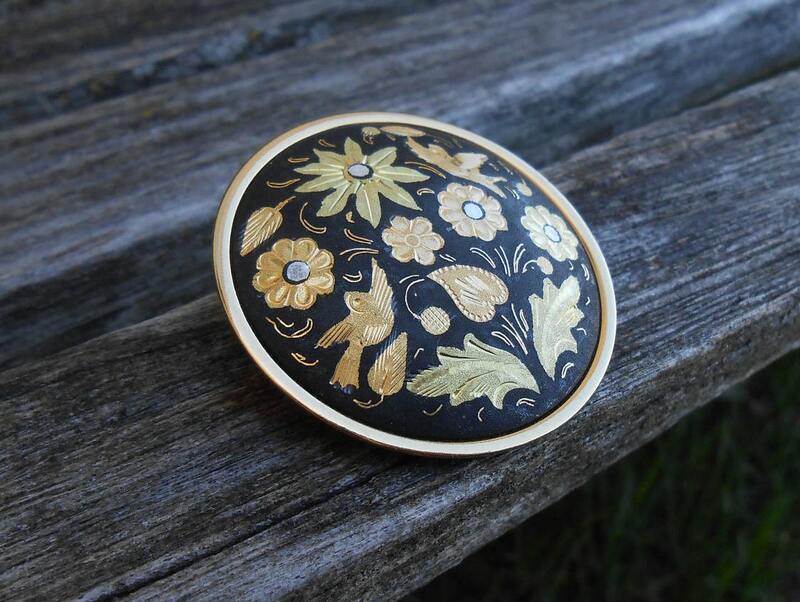 Brooch, Gift For Mom, Anniversary, Mother of the Bride, Birthday. 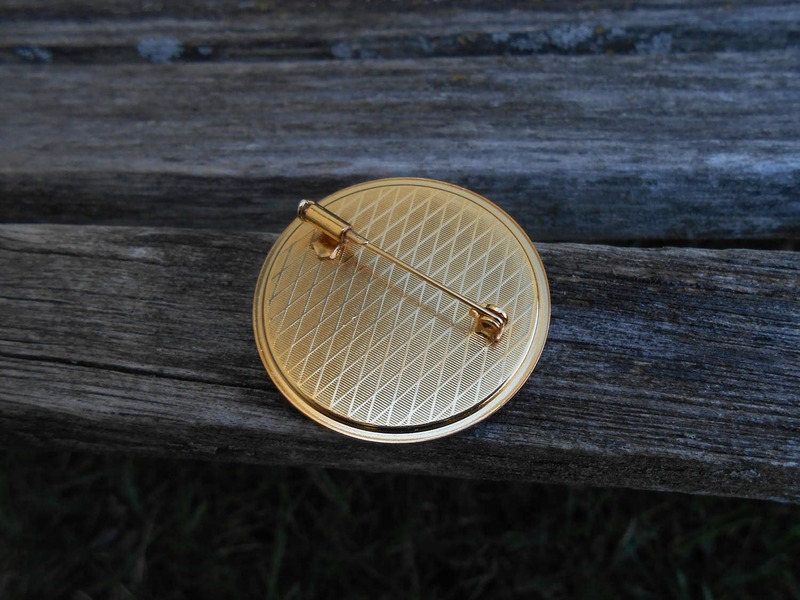 This vintage brooch is so neat! 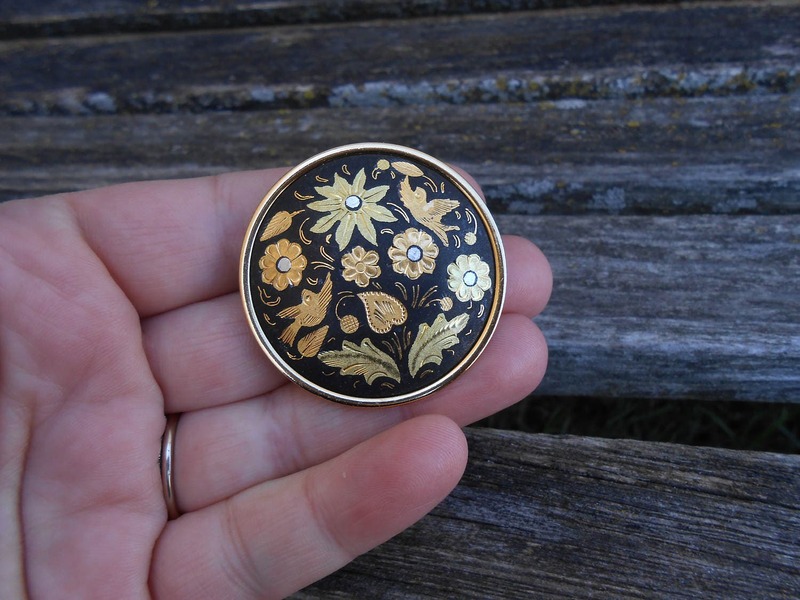 It is a damascene brooch, made in Spain, in the 1960s. It has birds and flowers on it. Damascene items are made with 24k gold leaf. 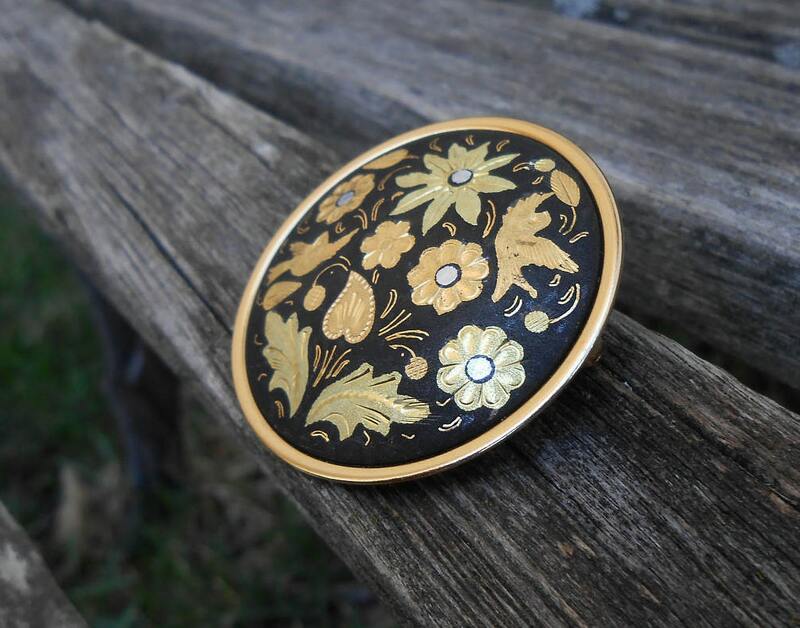 This listing is for one brooch, measuring 1 5/8". It is in excellent condition.